Patrick Godin joined Stornoway as Chief Operating Officer in May 2010, was appointed to the Board of Directors in October 2011, and was appointed CEO and President in January 2019. Prior to joining Stornoway, Pat acted as Vice President, Project Development for GMining Services, and was responsible for the development of the Essakane Mine in Burkina Faso under contract to IAMGOLD. He was previously Vice President of Operations for Canadian Royalties, specifically heading the development of their nickel project in northern Québec. He was also President and General Manager of CBJ-CAIMAN S.A.S., a French subsidiary of Cambior/IAMGOLD, holder of the Camp Caïman gold mining project located in French Guiana. For many years, Pat was involved in Cambior’s various Canadian properties in Abitibi-Témiscamingue, through progressive management positions he led a gold extraction operation and greatly contributed to the implementation of Cambior’s sustainability program. 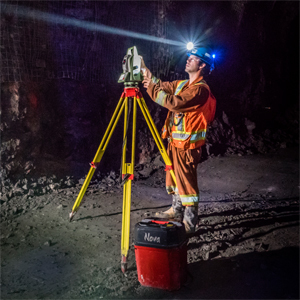 Mr. Godin holds a bachelor’s degree in mining engineering from Université Laval in Québec. Mr. Godin is a member of the “Ordre des Ingénieurs du Québec”, of the Certified Directors College and member of The Canadian Institute of Mining, Metallurgy and Petroleum (CIM). He sits on the boards of Stornoway Diamond Corporation, Mason Graphite (TSXV:LLG) and Nemaska Lithium (TSX:NMX). Dino Rambidis joined Stornoway in April 2019. A chartered professional accountant, Mr. Rambidis has more than 30 years of experience in senior financial management positions with public and private companies across multiple industries, notably in the financial sector. Prior to joining Stornoway, he served as Senior Vice-President, Corporate Finance at Fiera Capital, Vice President, Finance and Operations at PSP Investments, and Senior Director, Finance at TAL Global Asset Management. Mr. Rambidis holds a Bachelor’s degree in commerce with a major in accounting from Concordia University. Martin Boucher joined Stornoway Diamond Corporation in May 2010 and is responsible for environment, health and safety, and permitting at the Renard Diamond Project. 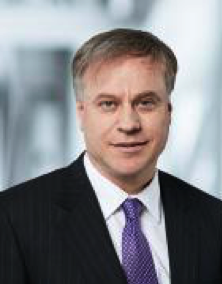 Martin has over 25 years’ expertise in Québec, international mine development and Aboriginal relations. Prior to joining Stornoway, Martin served as Manager, Environment for Canadian Royalties and also worked for Falconbridge Ltd. (now Xstrata) at several Canadian and international projects, notably as Manager, Environmental Services in New Cadelonia for the Koniambo Project. He also held progressive management positions at the Raglan Project in Nunavik, from Senior Mining Technician to Superintendent, Environment. Sylvie Gervais joined Stornoway as Corporate Human Resources Manager in December 2017, and was appointed Vice President, Human Resources in August 2018. She has more than 20 years of human resources experience, and sits on the boards of Unicel Architectural Corp., Services Animaliers de la Rive-Sud, and CSMO Mines. Prior to joining Stornoway, Ms. Gervais was Vice President, Human Resources for Fabritec, Vice President, Human Resources at EnGlobe Corp. and Senior Director HR, HSE and Sustainability at Voith Hydro. She holds a Bachelor’s Degree with a major in Psychology from Concordia University and Certificate in Industrial relations from Université du Quebec à Montréal. Brian Glover joined Stornoway Diamond Corporation in May 2012 as Vice President, Asset Protection. Brian is responsible for the protection of Company assets and for security provisions at the Renard Diamond Project. He has over 30 years’ combined expertise in global security and national police services. Between 2002 and 2012, Brian was employed by Aber Diamond Corporation and Harry Winston Diamond Corporation (now Dominion Diamond Corporation) as Director of Security Operations. Prior to entering the private sector, he served for 20 years in various capacities and locations as a police officer with the Royal Canadian Mounted Police. Robin Hopkins, P.Geol. (NT/NU) is a professional geologist with more than 20 years’ exploration experience throughout Canada, Greenland and southern Africa. Robin was appointed to his current position in January 2006, previously serving as the Chief Technical Officer of Stornoway’s predecessor company, Stornoway Ventures Ltd., from 2003 until 2006. Between 2000 and 2004, Robin was Vice President, Exploration for Navigator Exploration Corporation, and prior to that a key member of the Aber Resources Ltd. exploration team that discovered the Diavik Diamond Project pipes in the Northwest Territories in 1994. Robin is a graduate of the University of Waterloo (H.B.A.Sc. Earth Sciences) and a Qualified Person under NI 43-101 responsible for the Company's diamond exploration programs. Annie Torkia Lagacé joined Stornoway as its Vice President, Legal Affairs, General Counsel and Corporate Secretary in December 2014. She was named Vice President, Corporate Development, Legal Affairs and Corporate Secretary in April 2019. She has over 14 years of business and legal experience practicing law as well as analyzing, structuring, negotiating and closing sophisticated commercial and corporate transactions. Prior to joining Stornoway, Ms. Torkia Lagacé was Senior Legal Counsel for the Eastern Canadian Iron Ore division of Cliffs Natural Resources where she, among other things, handled legal aspects of the operations of an 8 million ton iron ore mine as well as its 8 million ton expansion project. Ms. Torkia Lagacé also previously practiced law in the Business Law Groups of Stikeman Elliott LLP and Blake, Cassels and Graydon LLP, two of Canada’s largest business law firms, where she developed extensive knowledge of sophisticated financing and M&A transactions involving large national and multi-national corporations. During her years practicing at Blakes, Ms. Torkia Lagacé was also posted in the Blakes Beijing office between 2006 and 2010. Ms. Torkia Lagacé holds a Bachelor’s degree in both civil and common law from the University of Ottawa. Yves Perron was appointed Vice President, Engineering and Construction in June 2012 and has over 20 years of experience in project management in the industrial sector within major international firms. 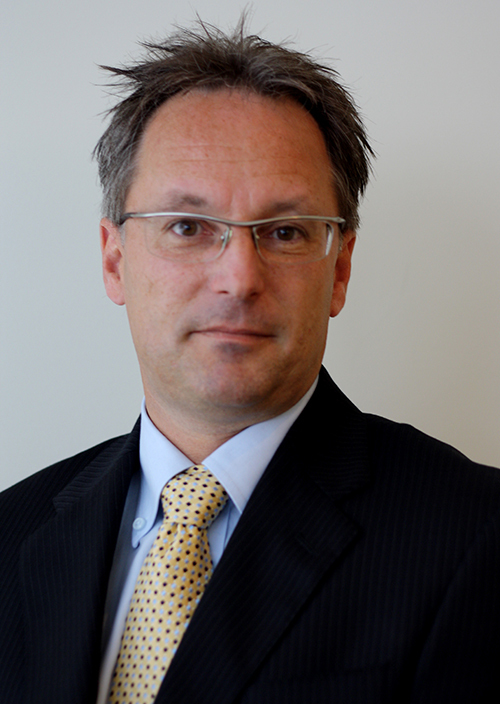 Prior to joining Stornoway, Yves was Vice President, Business Development, and Project Manager at Delsaer and Seneca. He also held several management positions in areas of production, operation startups, maintenance, engineering and project management with ArcelorMittal and Xstrata. Yves holds a bachelor’s degree in Mechanical Engineering from Université du Québec – École de Technologie Supérieure in Montréal and a DEC in Civil Engineering Technology. In addition, he holds an MBA from Université du Québec à Montréal as well as an Executive MBA from Université Paris Dauphine. Mr. Patrick Sévigny is a member of the “Ordre des Ingénieurs du Québec” and holds a diploma in Mining Engineering from École Polytechnique in Montréal. Patrick has 25 years of experience in the mine management operations, projects, open-pit and underground mining operations. Patrick joined Stornoway in January 2015 as Manager of Mining Operations. Prior to joining Stornoway, Patrick worked for QMX Gold Corporation’s Lac Herbin Mine, where he held the positions of General Manager and Vice President of Operations. He also held several operational and management positions at IAMGOLD's Mouska and Doyon Mines and was responsible for sinking a shaft and building various mining infrastructure. During his career, Patrick has also been involved and has been responsible for conducting pre-feasibility and feasibility studies. Mr. Scherkus was appointed Chairman of the Board of Directors of Stornoway in September 2012. He is best known for his long and distinguished career with Agnico Eagle Mines, serving as President and Chief Operating Officer/Director from 2005 to 2012, Executive Vice-President and Chief Operating Officer from 1998 to 2005, Vice-President, Operations from 1996 to 1998, Manager of Agnico Eagle LaRonde Division from 1986 to 1996, and Project Manager from 1985 to 1986. Mr. Scherkus is a graduate of McGill University (B.Sc. ), a member of the Association of Professional Engineers of Ontario and past president of the Québec Mining Association. Patrick Godin joined Stornoway as Chief Operating Officer in May 2010, was appointed to the Board of Directors in October 2011, and was appointed CEO and President in January 2019. Prior to joining Stornoway, Pat acted as Vice-President, Project Development for GMining Services, and was responsible for the development of the Essakane Mine in Burkina Faso under contract to IAMGOLD. He was previously Vice-President of Operations for Canadian Royalties, specifically heading the development of their nickel project in northern Québec. He was also President and General Manager of CBJ-CAIMAN S.A.S., a French subsidiary of Cambior/IAMGOLD, holder of the Camp Caïman gold mining project located in French Guiana. For many years, Pat was involved in Cambior’s various Canadian properties in Abitibi-Témiscamingue, through progressive management positions he led a gold extraction operation and greatly contributed to the implementation of Cambior’s sustainability program. Mr. Godin holds a bachelor’s degree in mining engineering from Université Laval in Québec. Mr. Godin is a member of the “Ordre des Ingénieurs du Québec”, of the Certified Directors College and member of The Canadian Institute of Mining, Metallurgy and Petroleum (CIM). He sits on the boards of Stornoway Diamond Corporation, Mason Graphite (TSXV:LLG) and Nemaska Lithium (TSX:NMX). Ms. Darling has over thirty years of global business experience with particular expertise in Human Resources Management and Corporate Governance. Prior to establishing her management consulting practice, Michele Darling and Associates Inc., Ms. 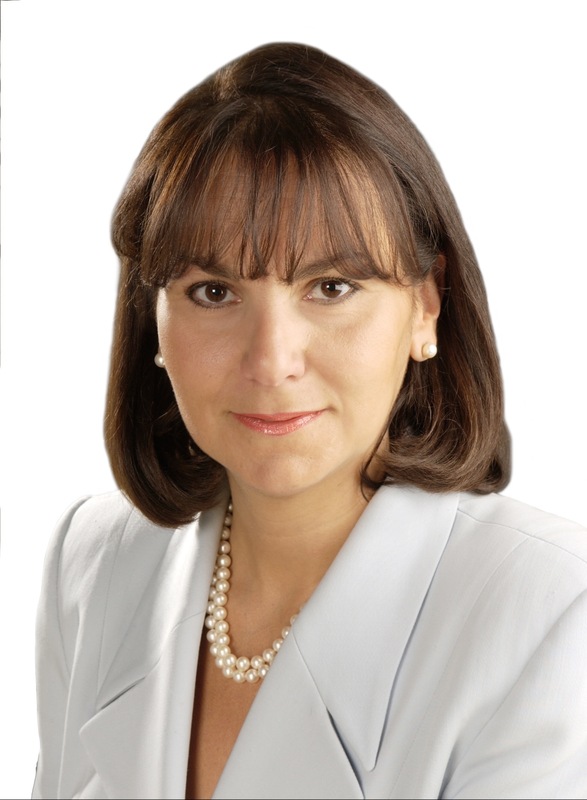 Darling served as Executive Vice President, Human Resources at CIBC from 1991 to 1996, and as Executive Vice President, Corporate Governance with Prudential Financial, Inc. from 1996 to 2002. She currently serves on the boards of directors of Nickel Creek Platinum Corp., the Denihan Hospitality Group (New York) and Trillium Health Partners, and is a former director of Osisko Mining Corp. and Hewitt Equipment Ltd. Ms. Darling is a graduate of the Institute of Corporate Directors (ICD) in partnership with the Rotman School of Management, and holds a B.A. (Honours) from the University of Sydney and a Master’s degree in Education from the University of Toronto. Mr. Kyle is Executive Vice-President and Chief Financial Officer of Dundee Precious Metals (“DPM”) and has over 25 years’ private sector and public accounting experience. Prior to joining DPM, Mr. Kyle held increasingly senior financial executive positions in a number of large, publicly traded, multinational energy and natural resource businesses, including TransAlta Corporation and Fort Chicago Energy Partners. Mr. Kyle is a Chartered Accountant and Chartered Financial Analyst, holds a bachelor’s degree in Economics and Accounting from the University of Western Ontario and a graduate diploma in Accounting from McGill University. He has also served on a number of corporate and industry boards and has been an active supporter of local organizations, including the United Way. Mr. Lacroix acted as President and CEO of CBC/Radio-Canada from January 2008 to June 2018, the longest mandate in the history of the corporation. Before acting in that capacity, he held the position of Senior Advisor with the Montreal office of Stikeman Elliott, from 2005 to 2008, and, just prior thereto, was the Executive Chairman of Telemedia Corporation from 2000 to 2005. Most of Mr. Lacroix’s career was spent with McCarthy Tetrault, where he spent close to twenty years concentrating on mergers and acquisitions of public companies and securities. Over the years, Mr. Lacroix sat on various boards such as Cambior, Circo Craft, Michelin Canada and non-profit organizations like Montreal General Hospital Foundation and the Martlet Foundation of McGill University. Mr. Lacroix received his bachelor of Civil Law (1976) and his MBA (1981) from McGill University. He also holds the certified designation of ICD.D from the ICD Corporate Governance College Program. Mr. LeBoutillier is the Chairman of the board of directors of Industrial Alliance Insurance and Financial Services Inc., Canada's fourth largest life and health insurance company, and a respected senior figure in the Québec business community. Between 1983 and 1996, Mr. LeBoutillier served as President and CEO of Sidbec-Dosco (now ArcelorMittal Montreal Inc.), and between 1996 and 2000 as President and CEO of Iron Ore Company of Canada. Mr. LeBoutillier also serves on the boards of Mazarin Inc. and Semafo Inc. and is the Chairman of the board of directors of Groupe Deschenes Inc. In 2000, he was a member of the Québec Commission of Inquiry into Health and Social Services (the Clair Commission) and, in 2001, a member of the Canadian Democracy and Corporate Accountability Commission (the Bennett/Broadbent Commission). 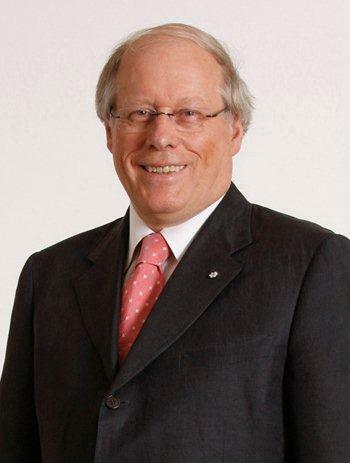 Mr. LeBoutillier served as a member of the board of directors of the Société générale de financement du Québec between 1996 and 2010, and is a recipient of the Order of Canada. Matt Manson has more than 25 years’ experience in mining exploration, development, production and project finance. 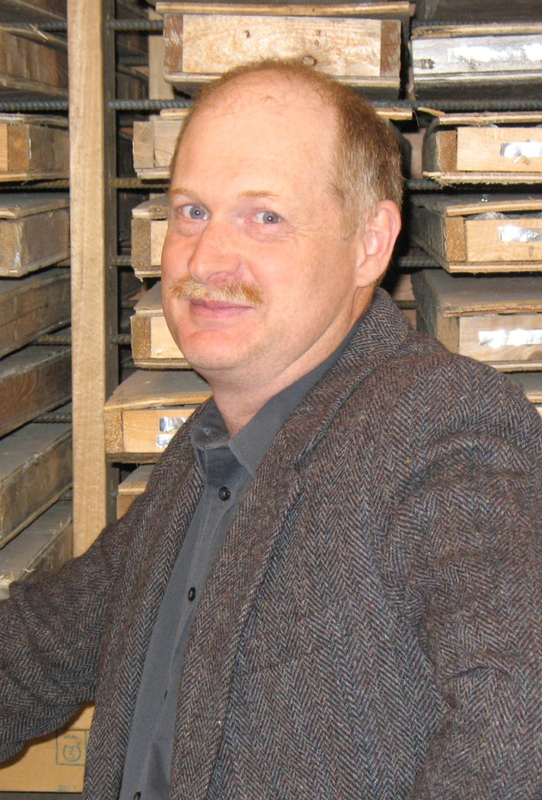 Between 1999 and 2005, Matt was employed by Aber Diamond Corporation (now Dominion Diamond Mines) as Vice-President, Marketing, and thereafter Vice-President, Technical Services and Control, during which time he participated in the financing and development of the Diavik Diamond Project and oversaw Aber's technical and marketing operations. Matt served as CEO and President of Contact Diamond Corporation between 2005 and 2007, and co-led the acquisition of the Renard Diamond Project through the amalgamation of Stornoway, Contact Diamond Corporation and Ashton Mining of Canada in 2006. He served as Stornoway’s President from 2007 to 2008, and then as CEO and President from January 2009 to December 2018. In this capacity, Matt led the $946 million project financing for the Renard Diamond Mine in 2014, the largest single project financing transaction for a publicly listed diamond miner, with Renard commencing production as Quebec’s first diamond mine in 2016. He received the Viola MacMillan award from the Prospectors and Developers Association of Canada in 2015, the EY Entrepreneur of the Year award (Mines and Energy, Québec) in 2017, and was the Northern Miner Mining Person of the Year in 2017. Matt is a graduate of the University of Edinburgh (B.Sc. Geophysics, 1987) and the University of Toronto (Ph.D. Geology, 1996). He sits on the boards of Stornoway Diamond Corporation, Fiore Gold (TSXV:F) and AmAuCu (private corporation). Ms. Mehta has over twenty years of experience in the fields of finance and engineering. She has served since September 2017 as Senior Mining Advisor with Paradigm Capital in investment banking, as well as Vice-President of Operations for North American Nickel. Over the years, Ms. Mehta has also served as Investment Manager for Sentient Asset Management Canada and has held various operational positions for multiple mining companies. She also sits on the board of the Foundation of Greater Montreal, Azimut Exploration, and was previously on the boards of Meridian Mining, Pershimco Resources Inc. and Women in Mining Canada. Ms. Mehta holds a bachelor’s degree in mining engineering and a Business Administration degree from McGill University, as well as a Master of Law degree from the Osgoode Hall Law School of York University. Mr. Morin, a professional engineer, was, until October 2013, employed by ArcelorMittal Mines Canada (previously Québec Cartier Mining) in a series of increasingly senior roles, culminating in Vice-President, Technology. Mr. Morin brings a long career of experience in the fields of mine development and operations. He is a graduate of Université Laval with an M.Sc. in Mining Engineering (1973) and is a member of the Ordre des Ingénieurs du Québec and the Canadian Institute of Mines and Metallurgy. He is a past president of the Québec Mining Association and the Consortium de recherche minérale (“COREM”). Mr. Nixon brings to the Stornoway Board over 30 years’ experience in research and institutional equity sales, largely focused on the mining industry. In 1989, Mr. Nixon helped to found Goepel Shields & Partners, where the primary focus was to assist in the creation and building of a new independent investment firm specializing in the provision of investment advice to institutional investors, as well as raising capital for companies in the natural resource industries in Canada. As an independent member of Stornoway’s Board of Directors, Mr. Nixon brings strength in corporate governance and environmental stewardship. Marie-Anne Tawil is an entrepreneur, lawyer and corporate director who has served as a member of the Board of Directors of Hydro-Québec since 2005. She also serves on the Board of Directors of United Way of Greater Montreal, the Montreal Inc. Foundation and on the Governance Committee of One Drop Foundation. 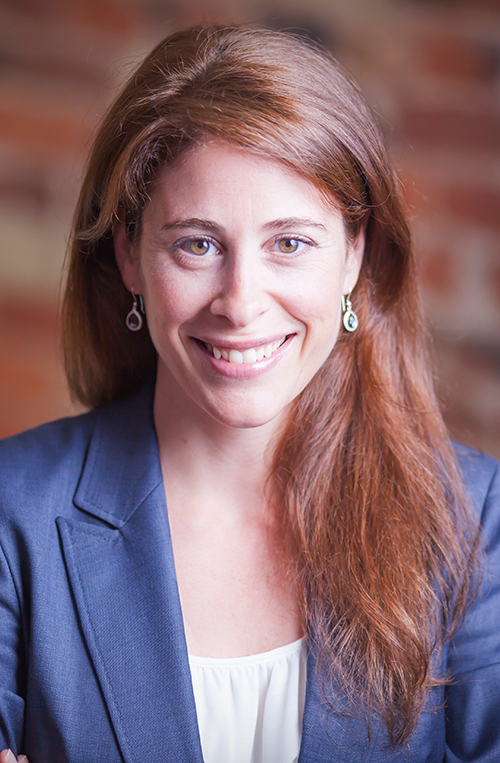 Ms. Tawil has been President and CEO of Iron Hill Investments Inc., (a business consulting and commercial development firm) since 2000, and previously served as Legal Counsel and Corporate Secretary of Quebecor Inc. She has led three manufacturing companies and has practiced law for two major Canadian firms. Ms. Tawil holds a degree in Civil Law, a Bachelor of Common Law, a Masters in Business Administration and a certification from the Institute of Corporate Directors. Ms. Tawil has solid and extensive experience in corporate management and mergers and acquisitions. During her career, she has developed a deep expertise in governance and strategic leadership, as well as in human resources and compensation.